It's no secret most kids love chocolate – and encouraging healthy eating doesn't mean your family has to go without this Easter. 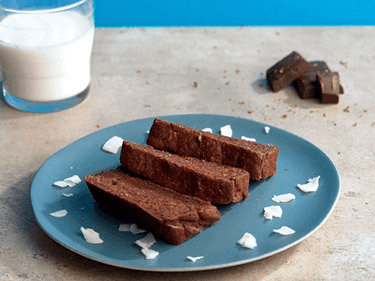 This unconventional chocolate bread recipe is jam-packed full of goodness as zucchini is low in sodium and high in potassium to maintain healthy blood pressure with an added chocolate kick. Preheat oven to 190 oC. Add all the ingredients, except olive oil, into a bowl. Grease a mini bread loaf tray with olive oil.